Want to quickly see how the open-source software SkyBlueCanvas works? You'll find a free and updated demo installation of SkyBlueCanvas here. We are currently updating the SkyBlueCanvas demo. Please check back shortly. There will be a new version up soon. 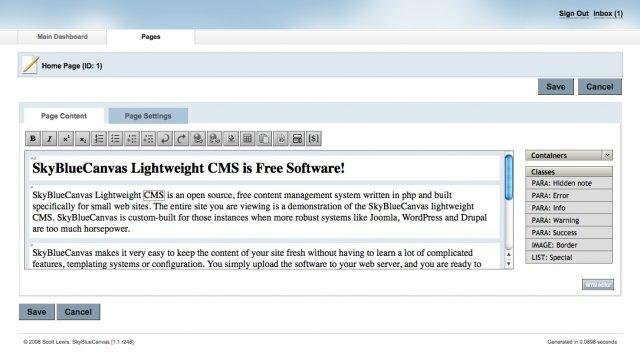 SkyBlueCanvas CMS is a free open source content management system developed using PHP as a programming language and an XML based database environment. It is considered a light weight CMS as it doesn’t require a database. This makes the installation process very easy. 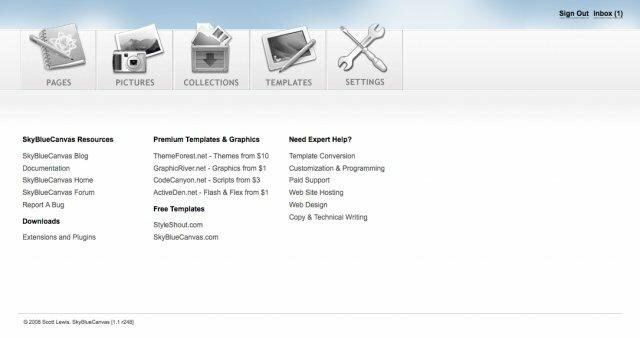 You can set up your own SkyBlueCanvas demo by downloading the software using the link below. One thing you’ll find in your demo site is a flexible and powerful API that allows you to extend its features. 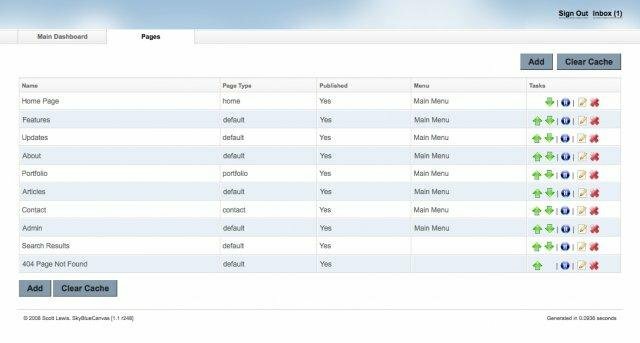 You can also customize the way your SkyBlueCanvas CMS demo looks like choosing from different skins available. 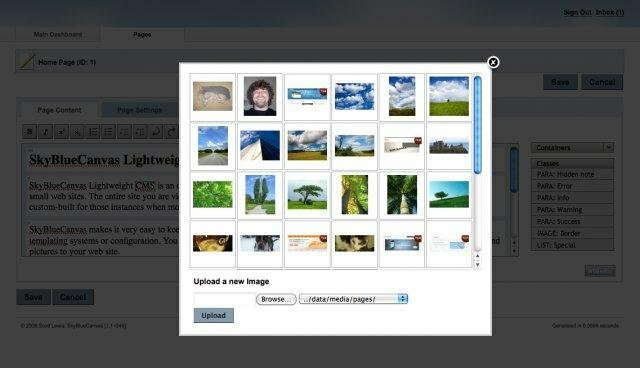 The latest version available for download is 1.1 and was released on August 6, 2011. You can also see how a demo site looks like in the screenshots below.